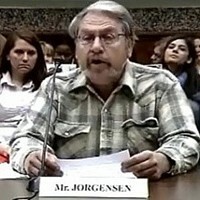 Neal Jorgensen’s mistake was taking the government at its word. After he reported hazards at his job with a plastics recycling firm in Preston, Idaho, two things happened right away. OSHA (Occupational Health and Safety Administration) cited the plant for multiple violations, and Jorgensen was fired. It’s illegal to terminate a worker for blowing the whistle on safety violations. Jorgensen complained that he had been fired for exercising his rights, and an OSHA investigation substantiated the claim. At that point, Jorgensen’s employer could have settled for a modest amount of back wages, but refused. The OSHA law tells what should have happened next. It directs the Secretary of Labor to sue employers who discriminate against workers for reporting job-related hazards. However, when OSHA referred Jorgensen’s case to lawyers for the Department of Labor in December, 2004, they refused to pursue it. “My employer got away with firing me without any consequences,” Jorgensen, 58, said. It was not an isolated case. Over the years, scores of whistleblowers have seen their cases fall into a black hole because the Office of the Solicitor, the legal arm of the labor department, wouldn’t pursue them in court, undermining protections in the OSHA law. No matter that OSHA found the workers had been illegally demoted or fired; they were left with nowhere to turn. The situation has spurred calls for stronger protections for whistleblowers, which critics say are grossly inadequate. From 1995-2009, regional solicitors filed 32 whistleblower lawsuits, while rejecting 279 other cases referred to them by OSHA, or almost nine times as many, according to government figures. The solicitor’s office declined interview requests, but in an e-mail response said its record is better than critics say. Noting that along with 32 lawsuits, settlements were reached in 156 other cases referred by OSHA, the statement said solicitors litigated or settled about 40 percent of referrals over the 14 years, and more than 50 percent over the last five years. “These are not numbers that should cause employers to feel comfortable engaging in safety-based retaliation,” the statement said. Citing other serious problems—inadequate staffing, bulging caseloads, and long delays in completing investigations—some critics say the whistleblower program is broken and will not be fixed by a tweak in the law. OSHA is spread so thin that, by one estimate, inspectors would need 137 years to check each workplace under the agency’s jurisdiction once. To encourage workers to serve as extra eyes and ears, Congress included whistleblower protections in the Occupational Safety and Health Act of 1970, making it illegal to fire, demote, or harass them for reporting safety violations. It seemed like such a good idea that Congress later added whistleblower protections to a wide array of regulatory measures—on air and water quality, airline and trucking safety, even accounting fraud. With its prior experience investigating retaliation complaints OSHA’s portfolio grew, taking on a rising tide of new laws in a kind of unfunded mandate. Today, OSHA’s Whistleblower Protection Program is responsible for enforcing anti-retaliation provisions of 17 different laws, most having nothing to do with its core mission of reducing workplace injuries and deaths. At an agency that has long struggled with austere budgets, the whistleblower program has never been a priority, and is described by some critics as OSHA’s unwanted stepchild.